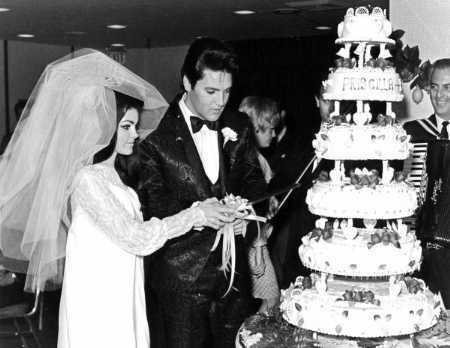 Famous weddings aren’t just a way to get up-to-date on the latest gossip. You can use them as inspiration for the type of wedding photography you want. Over the years, there have been too many weddings in the news to count. Some stand out more than others because of the popularity of each couple. Others are memorable regardless the couple’s popularity. Check out these famous wedding photos for inspiration for your own wedding. We only need to look at Jacqueline Kennedy Onassis for fashion inspiration. She’s a timeless tribute to good taste and style. This trendsetter’s wedding photos are still relevant today. My personal favourite is of her tossing a bouquet at the top of the stairs. Even though it’s in black and white, the tones are soft and rich and she looks radiant. 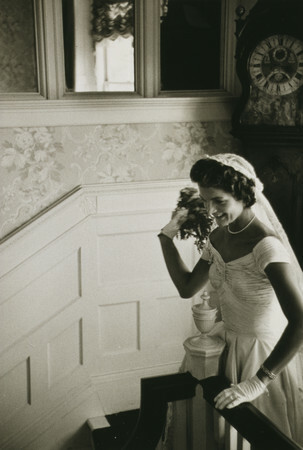 Another timeless photo of Jackie O is this portrait of her in her wedding dress. She looks like a movie star from the era and looks content and beautiful.Today, not many brides set up separate portrait sessions, but this photo shows how worthwhile they can be. Bridal portraits allow you to be photographed while you are relaxed and preparing for your wedding. You can schedule them for anytime after you have your dress. There’s no need to spend your wedding day sitting for the photographer. Jackie’s album is also full of delightful candid images like this one. It captures a natural, playful moment during the day, shows how much fun the event was and reminds us that even well-planned weddings can’t be completely scripted. Jackie Kennedy married in 1953, a few years after Princess Elizabeth (now Queen) married in 1947. Queen Elizabeth married Prince Philip when she was 21-years-old. She had met him when she was 13 and fell in love. Their wedding pictures show the traditional, style embraced by royalty. Many of them are posed like this photo of the couple surrounding by female family members. This type of group photo is a traditional method of wedding photography that some couples choose to leave out. However, it allows you to remember how everyone looked that day and how the outfits coordinated. Photos of couples gazing at each other or kissing are another classic wedding pose. 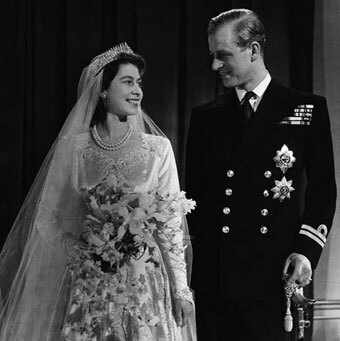 Royalty tends to be more demure during their wedding, making this photo of Queen Elizabeth and Prince Philip gazing at each other a typical example of royalty weddings. Princess Diana and Prince Charles are probably the most famous couple of the last century. Their wedding was a big celebration. The princess got married in 1981, a fashion period that really stood out from all others. Her dress had the big sleeves that were popular in the 1980s and the background of her pictures showed the décor that was transferring from the 1970s. However, you can still appreciate elements from their wedding, like this one of Princess Diana sitting on some steps. This pose shows the full size of her dress and is both casual and elegant. Many bridal poses have the brides standing so the dress is shown as it was designed, at full height, which makes this a little more unique. If it was converted to a black and white it would have a more timeless effect. This photo takes place while the bride and groom greet the public so it’s not exactly unstaged, but it does show a gentleman’s approach to kissing the bride. You also get to see Prince Charles military outfit, the preferred dress for royal grooms. When Prince William married Kate Middleton, he was a little more affectionate with his kisses. Most royal grooms wear formal military uniforms to their wedding if they are part of the military, but this practice isn’t limited to royalty. Many modern grooms get married in their military uniforms. Grooms don’t have to blend into the background with somber dark suits, while their brides shine. He can choose a look that is uniquely his, maybe by adding a cowboy hat and boots to his outfit. Kenny Chesney did just this when he married Renee Zellweger. Most modern wedding pictures are taken in color. However, black and white photos still do a lot for wedding pictures. 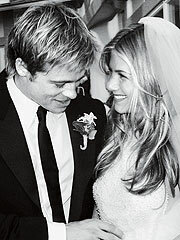 Check out this picture of Jennifer Anniston and Brad Pitt on their wedding day. Their marriage may not have lasted, but the picture is timeless. Some weddings really shine in color. Portia de Rossi and Ellen DeGeneres’ wedding pictures almost glow with the soft sunshine and clean, elegant color choices. However, you might want to take a page from Ellen’s book (or wedding album?) and use black and white photojournalistic images for the inside, candid shots and color for an outdoor wedding. Keep up with modern wedding images from both local and celebrity photographers to see what kind of images appeal to you, then talk to your wedding photographer to use that style at your wedding.